Want to pamper someone? Send them a message to relax and take care of themselves? We get it. Our bath products are chosen with care. We read the ingredient labels carefully, don't rely on just pretty packaging, but what is inside. 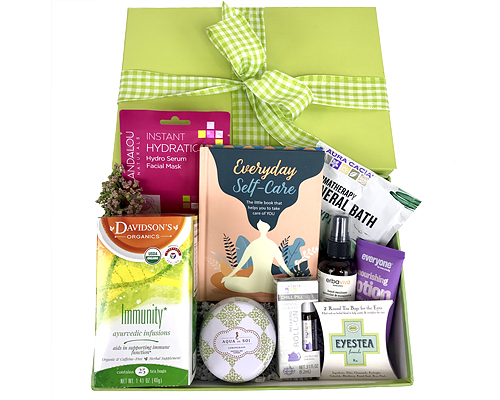 Many of our products feature pure essential oils and organic herbal infusions. We also use interesting containers: hatboxes, trays, and items your recipient can really use. 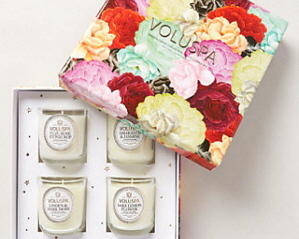 We also have candles, fresh flowers, eye pillows and even champagne for a bit of indulgence. And who doesn't need some indulgence once in a while? 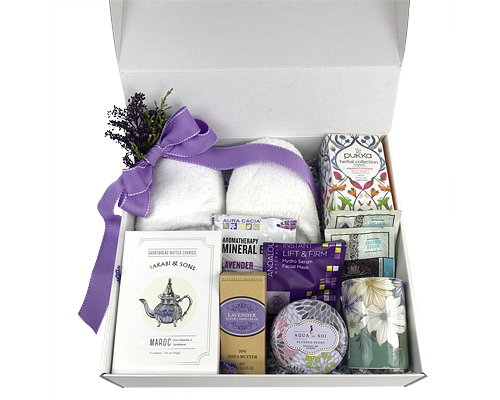 We also offer an exquisite line of Tea Gift Baskets. And how about chocolate? Chocolate is one of our favorite things! You'll find the world's finest in our Chocolate Gift Baskets. "...one of the items had 'busted wide open'. What a mess! You promptly and most courtiously sent my boss a 'goodie bag' to make up for the mess. My boss was most pleased, and I wanted to thank you for 'making things right'. " - Wendee S.
At Fancifull we don't just care about what goes in your body, but what goes on it. There are lots of bath products out there with pretty packaging but dicey ingredients. We read the ingredients carefully. That's why we bring in products that don't have odd chemicals, scents that are from natural oils, soy candles, herbal eye pillows and all manner of things to indulge and pamper you naturally.